Our firm is a leading name, which is engaged in delivering Electrical Insulating Mat. The offered range of electrical insulating mats is designed by dependable vendors, who ensure to manufacture it in strict compliance with the IS 15652/2006 standards. Along with this, the offered range of electrical insulating mats is ideally applicable in substation, power plants and allied areas. Best suited for floor covering below control panels, the offered range is known for rendering safety of workman due to possible leakage of current. Flame Retardant The Mat is retarded to fire. We have gained immense expertise in dispatching Electrical Insulation Mat at clients' premises. The offered range of electrical insulation mats is designed by reliable vendors, who ensure to comply it with the industry laid norms and standards. Moreover, the offered range of electrical insulation mats is conforms to ISI and IS15652-2006 standards and norms. We are an eminent name, which is engaged in delivering Insulating Mat at clients' premises. The offered range of ERDA and CPRI tested insulating mats is manufactured utilizing high grade special elastomer compound free from fabric insertion and fibrous material at reliable vendors' premises. Along with this, the offered range of insulating mats is ideally utilized as a floor covering around electrical panels and avoids any possible leakage of current and short circuit. The offered range possesses a ribbed, fluted and plain designed surface. 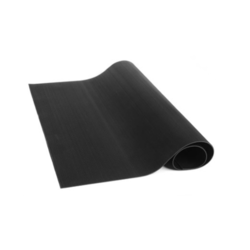 In order to append and respond to the diverse demands of clients, we are able to offer Rubber Insulating Mats. 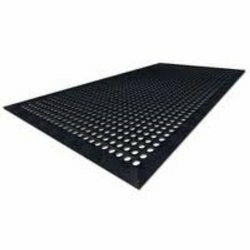 The offered range of ISI marked insulating mats is designed utilizing high grade components at trustworthy vendors of the market. In addition to this, the offered range of insulating mats is checked stringently to ensure its compliance with the international quality norms and standards. Known for rendering critical solutions to tasks in divergent substations and power plants, the offered range is also appreciated for rendering an excellent floor covering below control panels ensuring safety from leakage of currents. 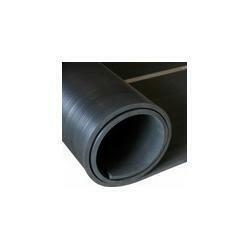 Our customers can avail Safety Electrical Rubber Mat from us. 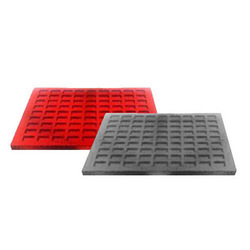 The offered range of electrical rubber mats is designed utilizing optimum grade raw material and innovative techniques in strict adherence with the IS 15652-2006 laid norms and standards. 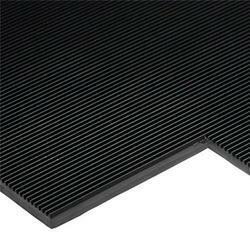 Along with this, the offered range of electrical rubber mats is ideally utilized as a floor covering around electrical panels. Known for providing suitable protection for life and limbs of the workmen from possible leakage of current and short-circuit, the offered range is available in black & red colors with plain, corrugated patterns in accordance with the diverse demands of clients. Backed by the rich experience and a competent team of professionals, we are able to offer High Insulation Mat. The offered range of high insulation mats is made utilizing highly modern machines and sophisticated technology at reliable vendors' premises. Along with this, the offered range of high insulation mats is known for its flexibility, easily washable feature and vibrant colors. We are a leading firm, which is engaged in offering Electrical Insulating Synthetic Mats. The offered range of electrical insulating synthetic mats is also termed as 'doz' and is designed & developed by trusted vendors, who ensure it bring it in strict conformation with the 15652:2006. B. I. S. + CPR + ERDA quality norms and standards. Known for rendering excellent protection against electric shock, the offered range of ISI market mats is extensively applicable for multiple substations, power plants and other areas.